It’s free. There are lots of spaces off East Fowler Avenue and North 46th Street. Go where the parking attendant indicates. The entrance booth is pretty much the last place on the property you’ll find a credit-card reader. Food vendors, craftsmen and ride operators all take cash. So few take cards, you risk being declared a witch just for asking. Bring cash. The village has multiple stages that host a revolving list of performers, often in 30-minute increments. 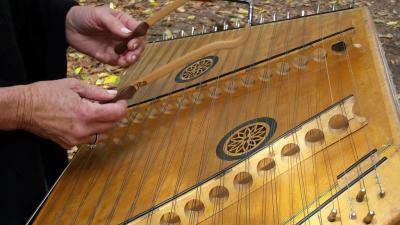 If you like gypsy music, they’ve got it. Escape artists? Yep. 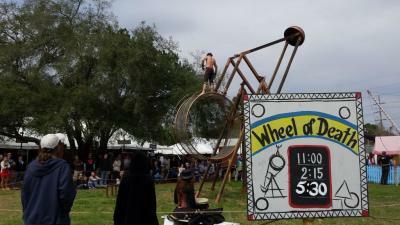 A guy chatting up the crowd from the outside of his slowly rotating “Wheel of Death?” For sooth. For the most part, the shows are rated PG, which can still be a little bawdy for gentle ears. Performers will pass the hat afterward. Please pony up. 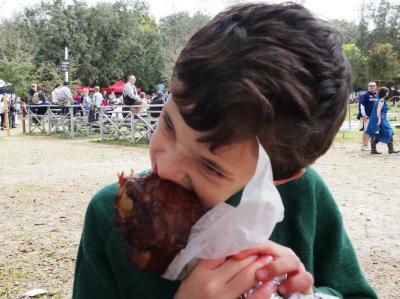 Henry VIII isn’t the only guy who gets to gnaw on a giant turkey leg in this village. You’ll find them on the menu at the food vendors, along with seafood, chicken and shepherd’s pie. It’s not your usually chicken fingers-and-French fries fare. Dig in! 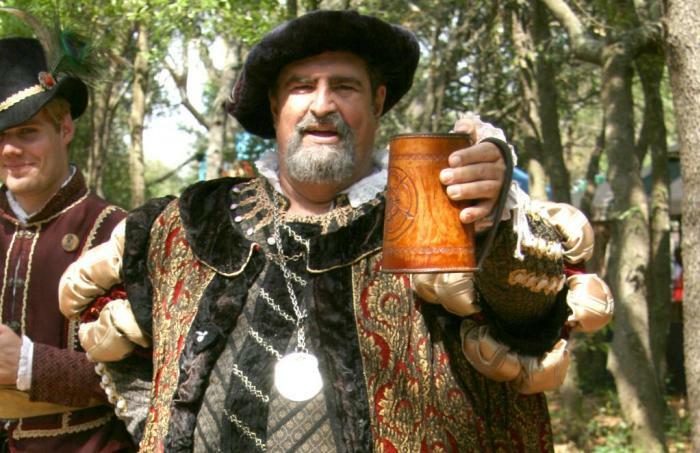 RenFest gives adults a reason to play dress up. So put on your best princess dress. Pull together a wizard’s outfit with a graduation robe and walking stick. Even tattered pant and a quick roll in the mud will get you in the spirit. Why should the RefFest regulars get to have all the fun? You can buy elf ears once you’re in festival. Or stop just inside the entrance pavilion to rent your way into the spirit of the event. Don’t be surprised if your fellow RenFest patrons push the boundaries of RenFest attire: steampunk, Star Trek, and Doctor Who wannabes can all show up on any given weekend. Be yourself. 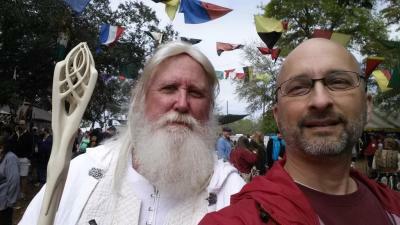 Artisans of all sorts line the pathways of the RenFest village. You’ll find people making jewelry right in front of you that you can buy when they’re done. 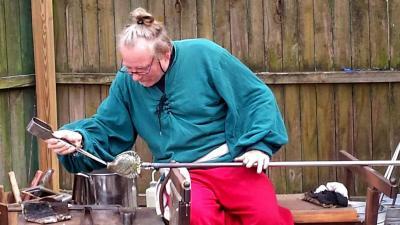 You’ll find craftsmen selling wooden swords and shields. And, yes, even potters offering their finest crockery. Bring something home.